The G6 ‘SPYDER’ kit provides a fully featured covert vehicle installation system, based around the Hytera & Motorola digital mobile radios. As all the essential features required to control the terminal are provided on the supplied Interface Control Unit (ICU). 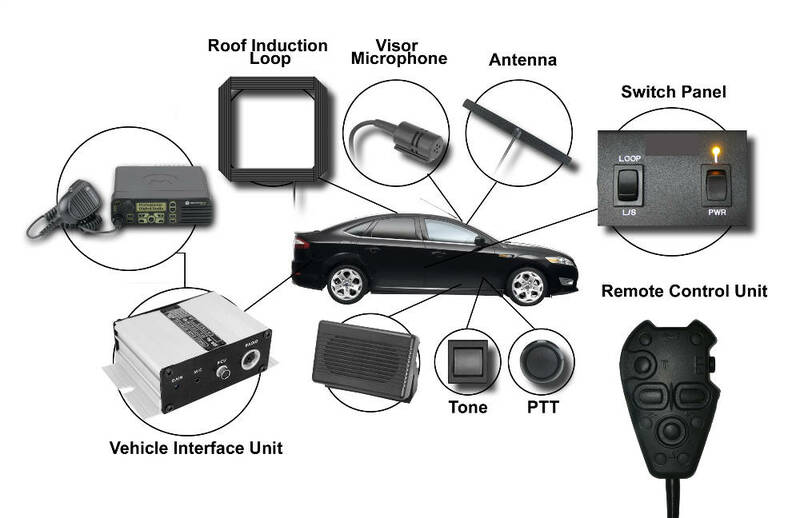 The radio terminal can be located under a seat or in the boot of the vehicle and powered either from the vehicle battery or an auxilliary DC power source. The Vehicle Interface Unit provides the connection point for all of the audio and control accessories supplied as part of the installation kit, allowing easy installation and maintenance. Reception of incoming radio traffic can be switched between loudspeaker and the roof or seat mounted inductive loop, allowing the use of covert inductive wireless earpieces. Changeover between loudspeaker/loop is carried out on the supplied Interface Control Unit, which is normally mounted within the glove compartment or centre console area of the vehicle. G6 Global can provide a full installation service, either on-site or at our Specialist Vehicle Installation facility, located in Bristol.